Join us for a blended Presbyterian service on Sunday mornings at Wellshire. Rejoice in God’s love through the compelling ministry, prayer and music of blended worship! 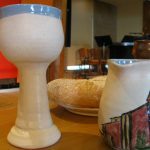 At Wellshire Presbyterian Church, we recognize that worship styles evolve and change. We offer a blended Presbyterian service for Christians who wish to express their gratitude for God through modern worship. Based in our light and airy chapel, our blended worship service is designed to engage your senses. 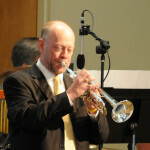 Traditional and praise music is led by talented vocalists and a live band. The pastors, dressed more casually than a typical Presbyterian service, share in worship within steps of the congregation. Through practical, intelligent sermons, they stretch you to think deeply about God’s Word and how to grow and walk in the ways of Jesus Christ. Whether you are looking for a new church home in Denver or you just want to pay us a friendly visit, we welcome you. Learn about visiting Wellshire Church.